After a catastrophic spill turns the country into a vast chemical wasteland, those who could afford it retreated to fortresses, self-contained communities run by powerful corporations. But for Mari Thistle, life on the outside—in the Red Zone—is a constant struggle. To protect her family, Mari teams up with the mysterious Thorne Goodman. Together, they’ll face an evil plot in both the underworld of the Red Zone and the society inside the fortresses that could destroy those on the outside… for good. 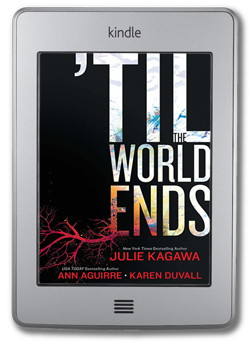 I am really excited to find out what happened before The Immortal Rules…and to read anything written by Julie Kagawa. I’m also very interested in the other two stories in this compilation as well since I adore Ann Aguirre and I’ve never read anything by Karen Duvall. =) Super excited for this to release in January! Months ago, I would’ve sworn I didn’t like sci-fi thrillers. Fortunately, my tastes have changed. Here’s my dilemma: with a plot description like this, how am I going to stand waiting for the second?! Ahha!!!!! Unbreakable!! I CANNOT WAIT! I loved Unraveling sooo so much! Yes, Til the World Ends is also on my list. 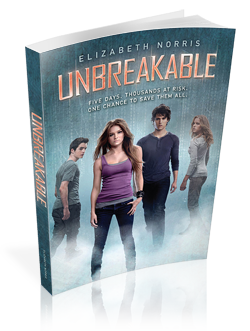 And Unbreakable… AHHH! I’m not sure if I’ll be picking up The Prey or not… as I too didn’t care much The Hunt. Thanks for stopping by, Crystal! Great picks! Rush has such a gorgeous cover!I’m super excited for them all! 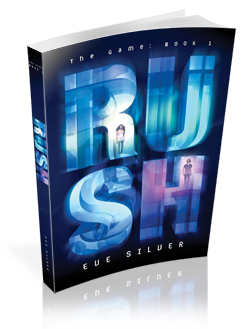 Thanks and yeah, the cover for Rush is AWESOME. Fantastic picks ladies! I want to read all three of these. Thanks! Love your pick as well! Great picks! I really need to read Unraveling and Rush looks awesome. Thanks for sharing! I have all your picks on my to-read list. I haven’t read Unraveling but I would love to! I hope you enjoy reading your picks when they come out. Great picks!